Convertible Hardtop, 6 Speakers, AM/FM Radio, Cassette, Air Conditioning, Automatic Temperature Control, Rear Window Defroster, Head Restraints Memory, Memory Seat, Power Driver Seat, Power Steering, Power Windows, Rearview Mirror Memory, Remote Keyless Entry, Steering Wheel Memory, Four Wheel Independent Suspension, Traction Control, 4-Wheel Disc Brakes, ABS Brakes, Dual Front Impact Airbags, Dual Front Side Impact Airbags, Front Anti-Roll Bar, Integrated Roll-Over Protection, Power Adjustable Front Head Restraints, Rear Anti-Roll Bar, Delay-Off Headlights, Front Fog Lights, Headlight Cleaning, Panic Alarm, Security System, Speed Control, Bumpers: Body-Color, Heated Door Mirrors, Power Door Mirrors, Auto-Dimming Rear-View Mirror, Convertible Roof Lining, Driver Door Bin, Driver Vanity Mirror, Front Reading Lights, Garage Door Transmitter, Genuine Wood Dashboard Insert, Illuminated Entry, Leather Shift Knob, Leather Steering Wheel, Outside Temperature Display, Passenger Vanity Mirror, Power Convertible Roof, Tachometer, Telescoping Steering Wheel, Tilt Steering Wheel, Front Bucket Seats, Power Passenger Seat, Front Center Armrest W/Storage, Passenger Door Bin, Alloy Wheels, Variably Intermittent Wipers, SERVICE RECORDS AVAILABLE!, PASSED - Multi Point Dealership Quality Assurance Inspection!, RECENT TRADE IN! SERVICE RECORDS AVAILABLE!, PASSED - Multi Point Dealership Quality Assurance Inspection!, RECENT TRADE IN!. Clean CARFAX. 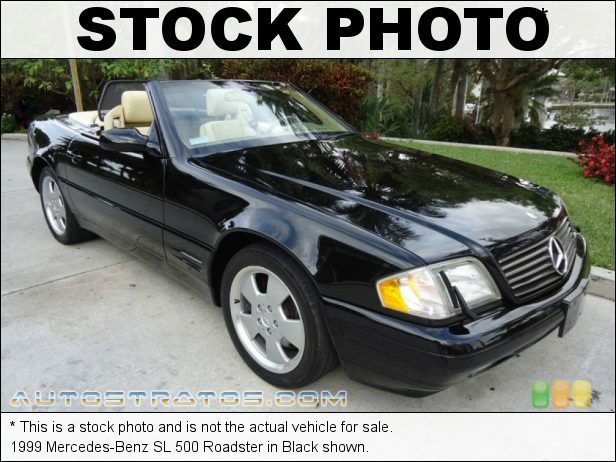 Black 1999 Mercedes-Benz SL-Class SL 500 2D Convertible RWD 5-Speed Automatic 5.0L V8 SMPI Enjoy the benefits of a lifetime powertrain warranty on all pre-owned Acura, Honda, Hyundai, INFINITI, Kia, Lexus, Nissan, Subaru, and Toyota vehicles with less than 55,000 miles on the odometer that are 5 years old or newer. Speak with one of our customer friendly Sales professionals for more details. Warranty coverage like this can only be found at Dan Perkins Subaru of Milford! Visit us at www.danperkinssubaru.com, or call us at 866-979-1012!